When I asked pioneer Ethiopian filmmaker Salem Mekuria in 1997 about the presence of Ethiopian women in cinema she stated that while there were those who worked for the government, she was the only independent filmmaker—enthusiastically embracing the emerging group of women that have now come of age. At the present, Ethiopian women in cinema are imposing themselves both in Ethiopia and the Diaspora, as the extra-Ethiopia territories, notably the United States, have been the locations from which the first group has developed. It is not surprising that the United States counts a significant number of Ethiopian women as it has the largest population of Ethiopians outside of Africa. Salem Mekuria, based in Massachusetts was trained in documentary filmmaking in the 1980s at NOVA, WGBH-TV, a Boston-based PBS (Public Broadcasting Service) science-focused public television program. In the 1990s Lucy Gebre-Egziabher and Aida Muluneh studied film at Howard University in Washington, DC where their compatriot, internationally acclaimed Haile Gerima is film professor—both completed their studies in the early 2000s. While Aida Muluneh chose image studies early as an undergraduate student, Lucy Gebre-Egziabher returned to school to study film while working as a senior program officer in international education, realising a dream she had since childhood. During that same period, Aida Ashenafi completed film studies at Ithaca College in the state of New York in 1999. Like Salem Mekuria, U.S.-born African-American-Ethiopian Nnegest Likké got her training inside the industry, initially with a public access community television station in Los Angeles, California. Salem Mekuria honed her filmmaking skills while working on themes related to the African American community of Massachusetts, the region where she lives and works. She later focused her camera on Africa in the two acclaimed works for which she is most known. She dealt with social and political issues relating to women refugees in the film, Sidet: Forced Exile (1991), and the multilayered issues of revolution, lost, and betrayal in the film, Ye Wonz Maibel: Deluge (1997). From the very beginning of her film projects, Lucy Gebre-Egziabher directed her gaze towards issues relating to the Ethiopian Diaspora in the Washington DC area. Her last film, At the Second Traffic Light (2000) has a multi-ethnic, multi-cultural and inter-religious focus with the intentions of highlighting the importance of tolerance. At the same time a filmmaker, Aida Muleneh is best known for her photographic work, notably in the 2003 seminal exhibition Ethiopian Passages: Dialogues in the Diaspora at the National Museum of African Art at the Smithsonian in Washington DC. Her film work in progress, Unhealing Wound, traces the experiences of Ethiopian war orphans raised and schooled in Cuba beginning in 1978, during the government of Mengistu Hailemariam. Aida Ashenafi, after studying, living, and working in the United States, returned to Ethiopia where she co-founded a communications company. Her award winning film Guzow (2009) is a documentary set in rural Ethiopia. Nnegest Likké represents the first-generation of U.S.-born Ethiopians, her Ethiopian father met her African-American mother while they were both students at the University of California at Berkeley in the 1960s. Perhaps her comedy film, Phat Girlz (2006) with an “African twist”, is indicative of the influences of Hollywood, rather than a more “engaged” cinema evident in the works by other Ethiopian women. Perhaps, the emergence of a film culture among the U.S.-born first-gens of Ethiopian descent is evident in the filmmaking practices of Saaret Yoseph and Mignotae Kebede, who have focused on themes related to issues in the city where they live, Washington DC. However, this does not imply that Ethiopian-related themes are not dear to them as well. Mignotae Kebede, for instance, founded the non-profit Lasting Impact for Ethiopia (LIFE) while still an undergraduate student. Nonetheless, the social and culture fabric of a once-predominantly African-American city attracts their attention. Washingtonian Saaret Yoseph’s Red Line D.C. explores the underground world of graffiti artists who make their art clandestinely along the WMATA red line. Californian Mignotae Kebede, who studied in Washington D.C. and now lives and works there, is working on her documentary project called “What Happened 2 Chocolate City.” Like Red Line D.C. the documentary explores the social and cultural implications of a gentrifying city. Sosena Solomon, born in Kenya and raised in the United States, turned her gaze to her ancestral home, where she returned to make the film Merkato about the famous open air market of Addis Ababa. Beyond the U.S. Ethiopian Diaspora cultural critics and film activists are dispersed in countries such as France, Lebanon, Norway and South Africa by way of Sweden. While French-based Maji-da Abdi has also directed documentary films, notably The River Between Us (2001), her most visible work has been as producer and film professional in many African film-related initiatives, including an interest in Ethiopia-based film training. Though no longer active, she created the “Images that Matter International Short Film Festival” in Addis Ababa. Performance artist, actress, cultural activist Hannah Wozene Kvam, raised in Norway, made the film Wozene, min siste favoritt, Wozene, the last favourite (2002), co-directed with Ingvil Giske, which follows her own path. Adopted into an Ethiopian family in Norway as an infant, she returned to Ethiopia as an adult in search of her biological family. In her experiences as cultural worker and cultural activist, she is an outspoken critic of the racism and discrimination against people of colour in Norway. Katarina Hedrén, though her lived experience is very different than Hannah Wozene Kvam, she too was adopted from her Ethiopian ancestral home and grew up in Scandinavia, and has given critical insights into transnational adoption practices in Sweden. Based in South Africa, Katarina Hedrén continues her film activism and festival organizing, which one may follow on her blog, “In the words of Katarina”. Rahel Zegeye who has lived in Lebanon as a domestic worker for many years, used her savings to make the fiction film Beirut, about her and other Ethiopian women's experiences living in the Lebanese capital. Rahel Zegeye’s advocacy has become increasingly visible, as our interview in 2011 became her clarion call for the plight of domestic workers in Lebanon and beyond. She also wrote and directed the play “Shouting Without a Listener” which calls attention to the plight of domestic workers in Lebanese society. On the continent, the increasing presence of women, locally and on the international scene represents a promising trend of Ethiopia-trained filmmakers. Since the 2000’s efforts to establish Ethiopian-based film training bodies have multiplied. Notably, the Blue Nile Film and TV Academy where Yewbdar Anbessie produced her student short film 40:60 (2010) as a member of the first group of students in the directing class. Hiwot Admasu Getaneh, also an alumna of Blue Nile, has gained visibility with her film New Eyes (2015). One of the objectives of the First Ethiopian Film Initiative Meeting held in Addis Ababa in 2008 was to tackle the important issue of film training, as there is a lack of viable film schools in the country. Yetnayet Bahru Gessesse addressed this problem at the meeting in her presentation, “A Young Filmmaker’s Personal Experience”. Though she completed her studies in computer science, her passion for cinema gave her the motivation to navigate the Ethiopian cinematic terrain through trial and error, as a professional cinema infrastructure does not exist. After her successful debut film Aldewolem (2008), a romantic comedy, she participated in a filmmaking workshop in Burkina Faso in 2009, at the Imagine Film Training Institute founded by Gaston Kaboré. Similarly, Aster Bedane enrolled in the Imagine workshop, which produced the short film Phenomena. The active presence of women in the emerging Ethiopian cinema culture is evident in their visible participation at the Ethiopian Film Initiative Meeting and the active and supportive reception of their films, both in Ethiopia and the Ethiopian Diaspora. Their numbers are increasing as well as the resources for making films. One initiative “From Addis to Cannes” has been existence since 2010. Biennially, (IEFTA) International Emerging Talent Film and (EFI) Ethiopian Film Initiative collaborates to sponsor a trip for the selected participants to the Cannes Film Festival. During the trip to Cannes the filmmakers have an opportunity to meet various leading producers and representatives. At the 2014 edition there was a visible presence of women, featuring Adanech Admassu Fessiha, Hermon Hailay, Hiwot Admasu Getaneh, Yamrot Nigussie Zenebe. Inevitably, the Ethiopian Diaspora will continue to play a vital part in the efforts to enhance the roles of women in leadership positions in cinema. In fact, the connecting forces of the two have strengthened both, as there is a concerted effort to build and work together, drawing from the positive energies that each has to offer. One such initiative is Lucy Gebre-Egziabher’s Women on a Mission, born out of a campaign to raise awareness on issues regarding gender based violence in Ethiopia. To tackle these issues, at the end of her stay as Fulbright scholar, at the request of the U.S. Embassy in Addis Ababa, she developed a weeklong screenwriting workshop entitled “Telling Herstory”, designed for Ethiopian women journalists and filmmakers. In addition to teaching the workshop she has followed its successes as it continues to thrive, for instance, the formalization of the Ethiopian Women Filmmakers Association is in the pipeline. She continues to work with the Women on a Mission project through her U.S.-based activities at NOVA, the community college where she is a professor of film, notably the Ethiopian New Wave Filmmakers. Elementary teacher Bruktawit Tigabu envisions an early start to women’s empowerment. Through the use of animation films, she hopes to inspire young Ethiopian girls, especially through literacy and education. She is developing the “Tibeb Girls Series”, an animation project about three young super heroines. Hence an upcoming generation will be conscious of the power of realistic images that girls and women themselves can create. 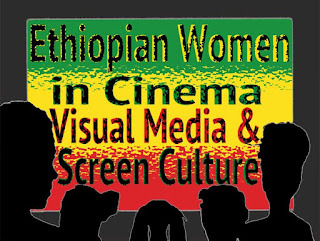 The emerging scholarship on Ethiopian women in cinema, television and visual media, particularly on locally-produced content, offers an important contribution to the field of African women in cinema studies. 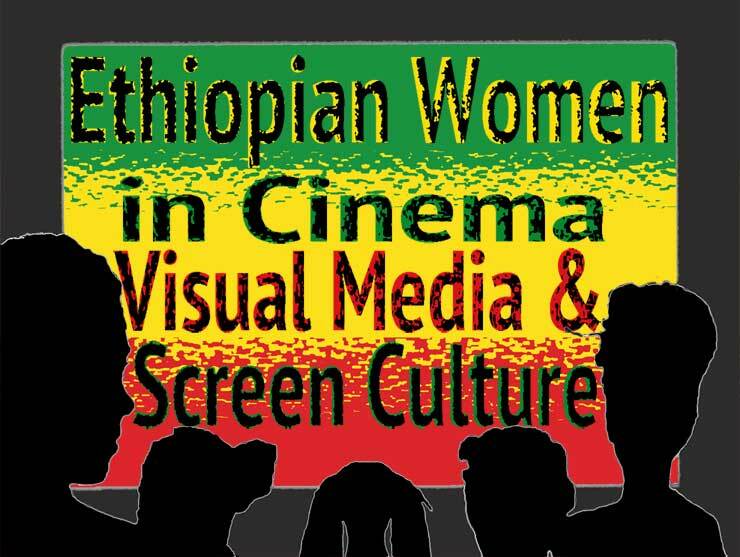 Studies by Eyerusalem Kassahun, “Women’s Participation in Ethiopian Cinema”, 2018, Bitania Tadesse, “Female Forces in Ethiopian TV and Film, 2018; Gashaw G/abe and Ayele Addis, “The Image of Women in Ethiopian Film Media Culture”, 2016, Kenaw Gebreselassie, "The Portrayal of Women in Ethiopian Television Advertisements, 2006"; Abebech Wolde, "Representation of Women in Ethiopian National News Media Decision-Making, 2007," who is also Executive Director of the Ethiopian Media Women's Association (EMWA) and Global Media Monitoring Project (GMMP) Coordinator for Ethiopia, are examples of this burgeoning research. (1) Bitania Tadesse. Les Femmes dans le cinéma et à la télévision éthiopienne | Female Forces in Ethiopian TV and Film. Awotele No. 9 - Mars/March 2018. Thank you for your post on Ethiopian Women in Cinema. I would kindly like to add to the list Director/Writer/Producer Salome Mulugeta who is currently touring with the movie WOVEN. A tireless effort 15 years in the making.